In a strong and exciting thrust into produced water markets, Heartland Technology installed a 300 bbl/day LM-HT® Concentrator at RN Industries’(RNI’s) Disposal Facility for produced water management in Bluebell, Utah. This video illustrates the concentrator being installed and immediately put into service treating produced water from many of America’s largest energy companies that are developing natural gas production. The project clearly demonstrates key attributes of Heartland’s unique technology for continuous treatment of produced waters with high concentrations of total dissolved solids at zero liquid discharge. 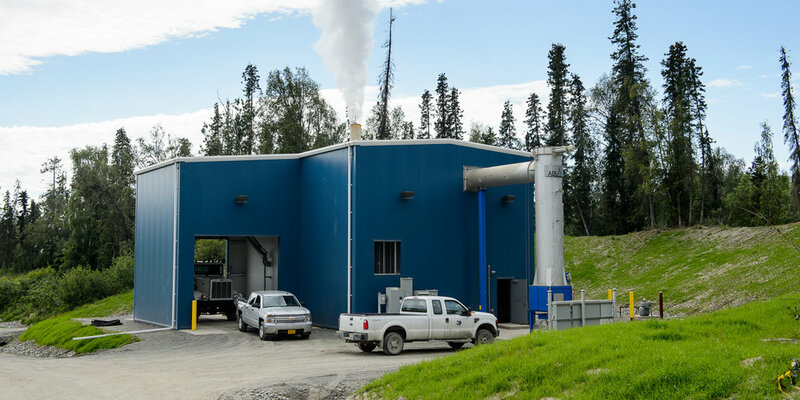 Where regulations require disposal of the solids in a regulated, permitted landfill, the solids are non-hazardous and pass paint filter test for landfill disposal. 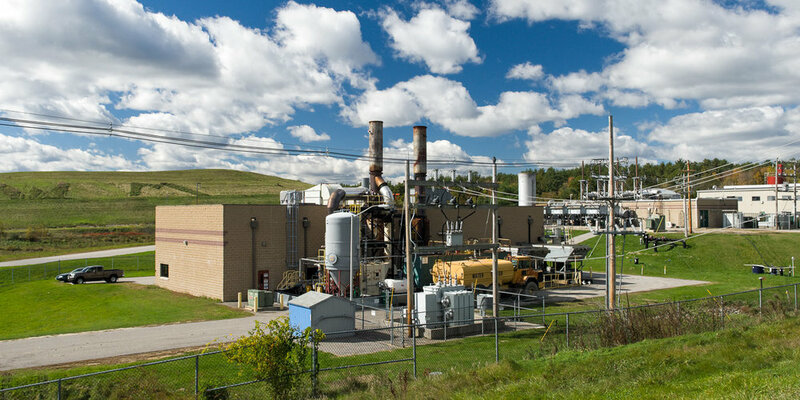 A panoramic view of the Cherry Flats compressor station project showing waste heat connections to six compressor engines and the building that houses Heartland’s LM-HT® concentration system. The waste heat connection from a seventh engine that drives a gen-set used for electrical power in the project is not shown. Simple adjustments to the concentrator operating mode allow reduction of produced water to concentrated brines for deep well disposal, slurries that are solidified and placed into landfills (ZLD mode), or custom heavy brines for use in gas and oil E&P operations. Further, in any of these modes clean water for reuse is captured via condensation. While there is no such thing as “free” energy, the versatile Cherry Flats project comes about as close as one can imagine.